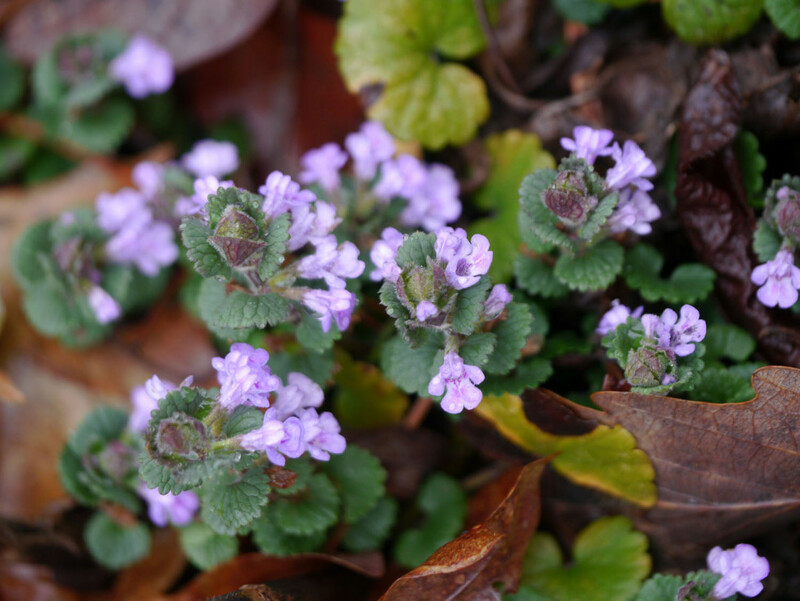 What do Ground ivy (Glechoma hederacea) . . .
. . . and Golden ragwort (Packera aurea) . . .
. . . have in common? It’s not their scientific name or family. It’s their leaves! Check out these views of the leaves during winter or early spring when each plant is just hanging around waiting for the cold to go away so they can begin the reproductive phase of their life. Each plant has crenate leaves. “Crenate” means they have rounded teeth along the margin. So how can we identify each plant during this colder season — before we can see their flowers? Let’s start with their habit of growth. 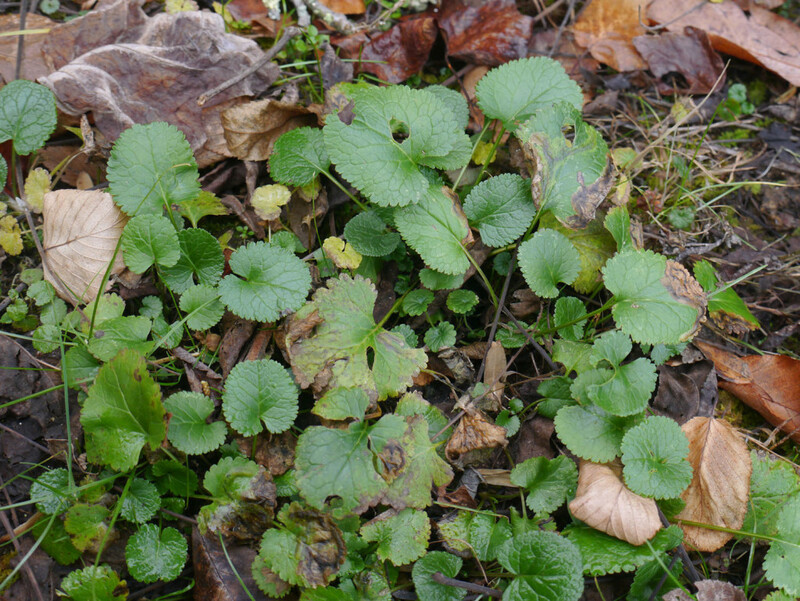 Ground ivy will tend to grow along the ground (as an ivy does — with long running lengths) while Golden ragwort will grow in a clump with a flowering stalk rising from that clump of basal leaves. That difference is not too evident in the above photos. 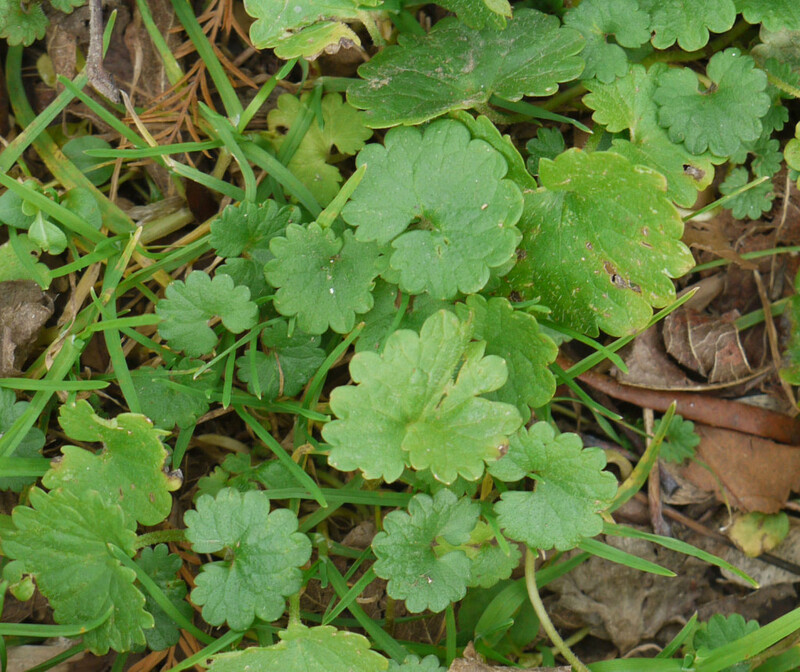 Looking closer at each leaf, we can see that the Golden ragwort leaves are more oval in shape (at least the larger, more mature leaves are) while the Ground ivy leaves are definitely round in overall shape. There are two other distinct differences between these leaves: (1) surface texture and (2) venation. The surface of the Golden ragwort leaves is smooth. Sometimes the leaves even look glossy. 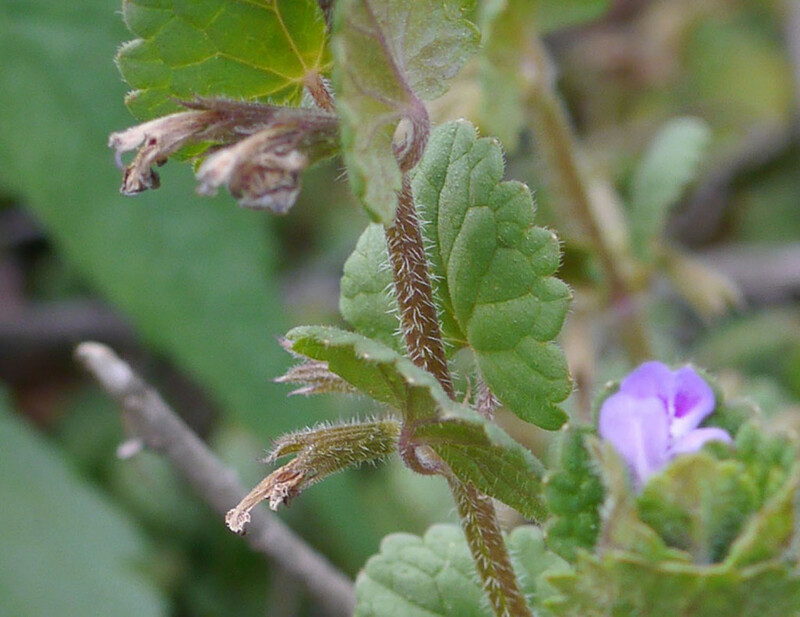 The leaves of Ground Ivy are hairy (pubescent). Check out the fine hairs along the leaf margin . . . In fact, the underside of the leaves are hairy too . . . 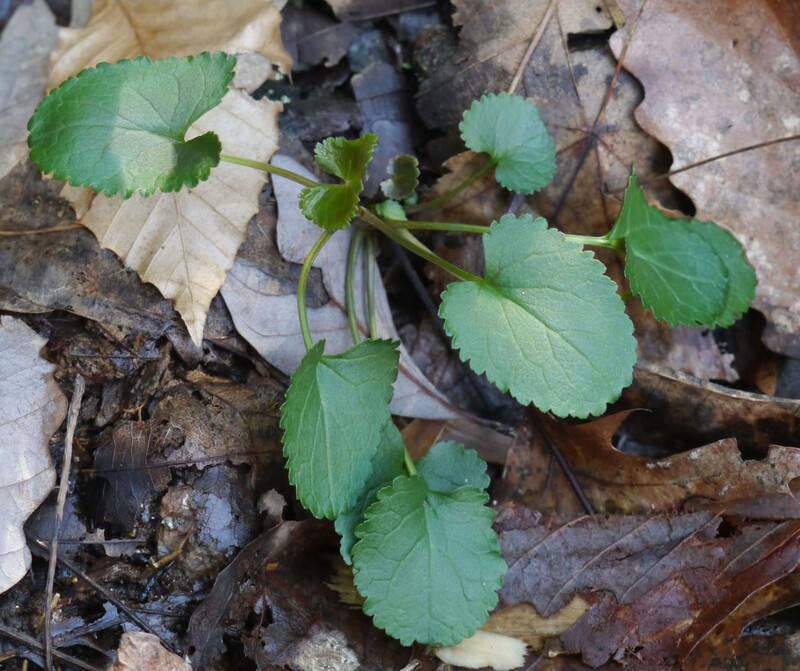 The above photos also illustrate the smooth stems of Golden ragwort and the hairy stems of Ground ivy. Looking at another set of images of the leaves, study the venation for each plant. 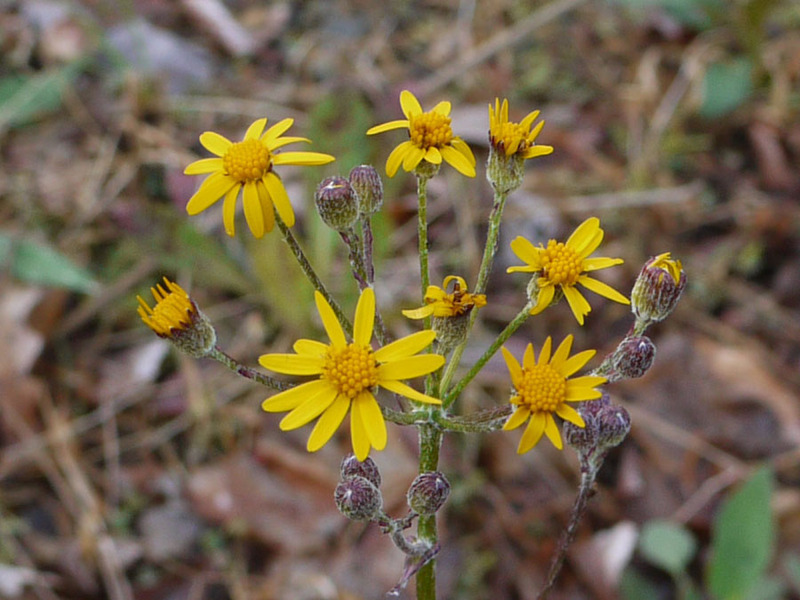 Golden ragwort’s leaves have a strong central vein — with pinnate venation. 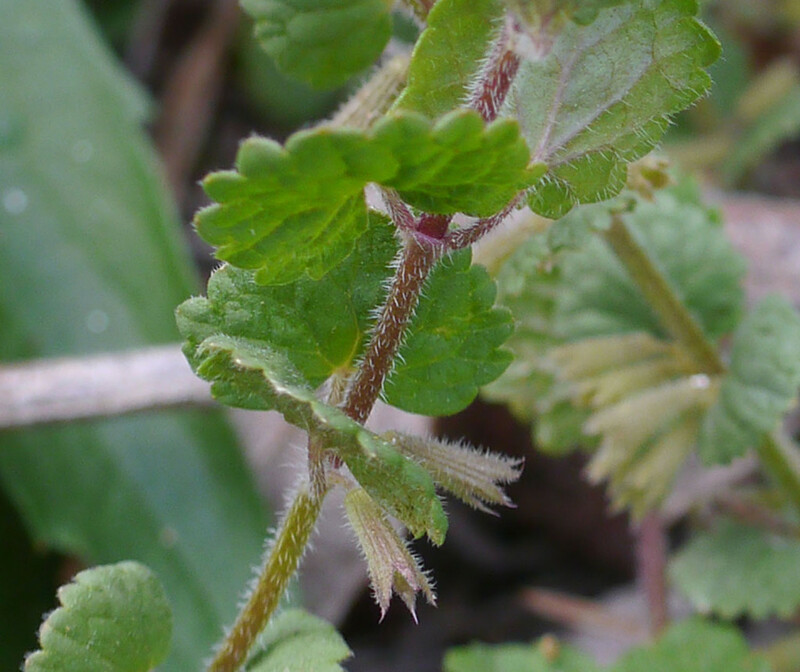 Ground ivy’s leaves have palmate venation. 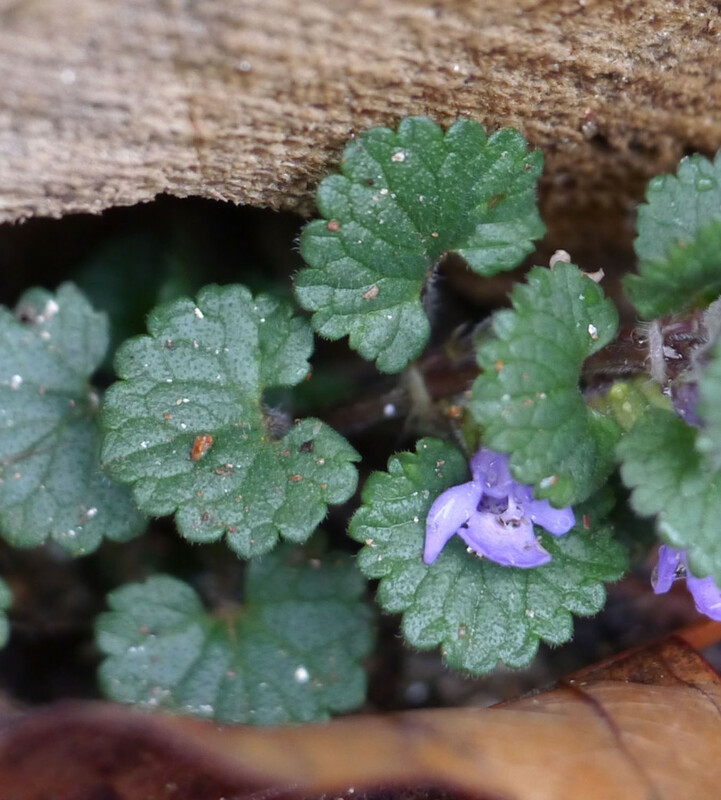 The Ground ivy leaf venation might also be described as “reticulate” — in the form of a network. 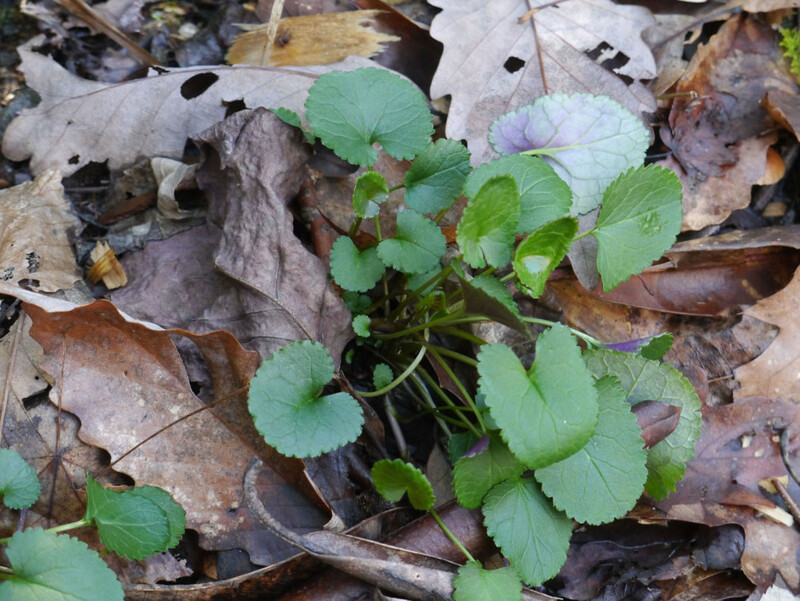 These two plants provide us with an example of how studying a plant’s leaf — in the plant’s more dormant season — can allow us to accurately identify a plant. This entry was posted in Plant comparisons. Bookmark the permalink.